Email marketing is one of the most valuable tools for an inbound marketer and one of the most effective channels you can implement in your online marketing strategy. But one thing we need to keep reminding ourselves is that there is a huge difference between just a regular old email marketing campaign and an email marketing campaign that is successful. 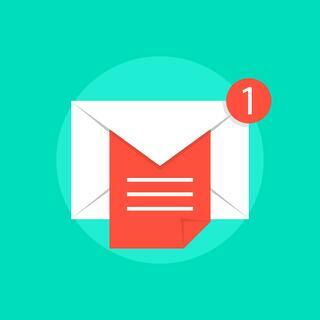 Earlier this week we talked about 5 ways to create engaging emails. In that post, we were more focused on the actual email itself. Today, we're thinking more about your campaign, which most likely encompasses more than one email. And we're going to show you how to do email marketing campaigns the successful way! One thing you need to remember when designing your campaign is that your email isn't for you it's for the recipient. What do we mean by that? When creating your campaign, don't focus on you and your company as a whole, but what your company can do for them and how you can help them. This goes back to the features vs. benefits philosophy we've talked about before. If you can connect with them on a personal level, and also show how what you offer solves their pain points, they'll be much more likely to engage and take the action you're desiring. You know the old saying, less is more? Well it definitely rings true with your email marketing. If you try to fit too much content into one email, your reader will either a) save it for later (if you're lucky) or b) will simply delete it because it's too overwhelming (much more likely). If you want the best results with your email marketing campaign, and have high hopes of your recipient reading it at the time it arrives, keep your content short and sweet and incorporate a call-to-action that your reader can click on to learn more about your offers. We recommend that you make sure your email is scannable - use bullets when you can, and keep your paragraphs short and concise. Leave the remainder of your content for the landing page and premium content offer. You always need to optimize your email content before you hit the send button. Not only should you optimize your content with relevant messaging and ensuring the context is spot on, but you should also be optimizing the layout of your email for multiple devices - desktop, mobile and tablets. Before you start sending out your email campaign, send a few test emails and open them on different devices, such as, iPhone, iPad, Android, etc. You may notice that some aspects of your email are off, so slight adjustments might need to be made. Testing is one of the most important steps you can take to ensure you're launching a successful campaign. We know that it isn't easy creating remarkable content, but one of the best ways to do this is by making sure that with everything you write, you're truly teaching your readers something. You not only become a go-to resource, but you also start to build trust with your readers. While this strategy doesn't just pertain to email, we find that it's particularly important when you're leveraging email marketing as part of your inbound campaign strategy. So next time you send an email, take a breath before you send, and read it over again. Are you teaching something? Are you adding value? The answer should be yes! It's important to maintain a balance with your email marketing. And your timing is a very important factor to consider when you're planning to send out your campaigns. But how do you know what the best time to send you emails is? Simple, just listen to your readers and pay attention to your stats. Look to see when you are seeing the best open and click rates. If you're noticing consistencies or trends, that's an indication of when you should be sending out your email. You want to maximize visibility, but at the same time making sure that you're accommodating the schedules of your recipients. By listening to their behavior, you're accomplishing both of these at the same time.